While amusement rides, like roller coasters, can incite fear and anxiety in potential patrons, in truth, the likelihood of sustaining a serious injury in an amusement park that would lead to an overnight stay at a hospital is minuscule, at one in 16 million. Comparatively, it has been boasted that the likelihood of being injured on an amusement ride is less than the possibility of being struck by lightning, an assumption that is grounded in reality, as the odds of becoming a lightning victim in the United States in any one year is one in 700,000. With twists and turns at speeds that can carry riders up to 150 miles per hour (241.4 kilometers per hour) and heights that have been known to reach an astounding 456 feet (139 meters), amusement rides are marvels of modern engineering, granting enjoyment for the users of the rides and devices without compromising their safety. This level of safety, of course, is assured through the proper installation and management of the rides and their components, for which ASTM F2291 has long been a point of reference. ASTM F2291-18: Standard Practice for Design of Amusement Rides and Devices establishes criteria for the design of amusement rides and devices, as well as any major modifications to those rides. 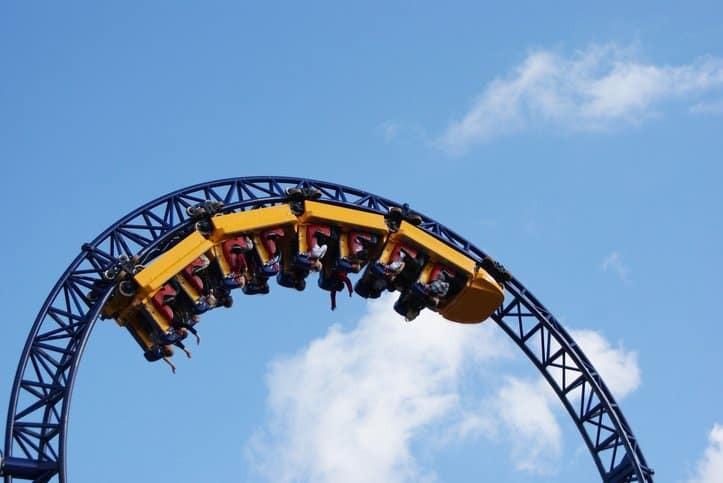 It is intended to provide designers, engineers, manufacturers, owners, and operators with criteria and references while engaging in amusement ride design or modification. Specifically, ASTM F2291-18 addresses the following issues: patron restraint, clearance envelope, containment design, acceleration limits, loads and strength, hydraulic equipment, pneumatic systems, safety related control systems, electrical systems, mechanical systems, fencing and railings, welding, fasteners, coatings, operator controls, and fall protection. The document covers extensive information for each and occasionally with the use of visual figures. The ASTM F2291-18 standard is not applicable to patron directed amusement rides (e.g. go karts, bumper cars), artificial climbing walls, air-supported structures, dry slides, coin-operated rides, rides that involve the purposeful immersion of the patron’s body in the water and involve more than incidental patron water contact (e.g. pools, water slides, lazy rivers), rides whose design criteria are specifically addressed in another ASTM standard, portions of amusement rides unaffected by a major modification, upgrades to electrical wiring and components provided the original design and safety criteria are maintained or enhanced, and pre-existing designs manufactured after the effective date of publication of this practice if the design is service proven or previously compliant. With the exception of these few examples, ASTM F2291-18 is meant to be used for rides and devices manufactured after the effective date of publication (August 2017). ASTM F2291-18: Standard Practice for Design of Amusement Rides and Devices is available on the ANSI Webstore. It appears that you have a scammer posting a bogus link at the top of this article. Please try following the link to the jpg file up at the top and you’ll see what I mean. Thanks for pointing this out! Not a scammer, but an error on our part. Should be fixed now.